Read about Lindsay on NY Times. We are very excited to host this fundraiser for Lindsay Carter of Australia. The New York Times recently discussed some of the issues Lindsay still faces still back home. You can read that article here. Lindsay is a ground-breaker for medical treatment for his epilepsy. However, the medicine he needs is still not regularly available there. 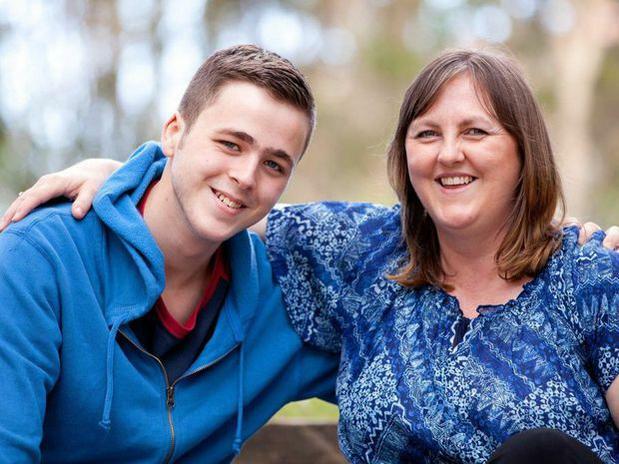 Lindsay and his mother Lanai are constantly lobbying the Australian government to improve access for Lindsay and ALL Australians that would benefit. We need to support folks who are so active on this issue. They will be here in Sonoma County for 2 weeks to meet local doctors and to help improve Lindsay's condition. Our fundraiser is meant to help them in their journey for good health by showing that Sonoma stands behind these tough Australians in their quest. We will be serving champagne and appetizers from 2:00 to 5:00pm. At 3:00pm, a special wine and cheese pairing class will be hosted by Meekk, our General Manager. We will pour some excellent rare wines with fantastic local cheeses. A $25 minimum donation is requested. Lindsay's treatment costs many thousands of dollars in Australia - let's show some love for this VERY brave family from Down Under.